Here in the following you'll get Punjab Wildlife Department Jobs 2019 Latest Advertisement announced for the Punjab Domiciled candidates who are welcome to apply for numerous developmental projects in Punjab. 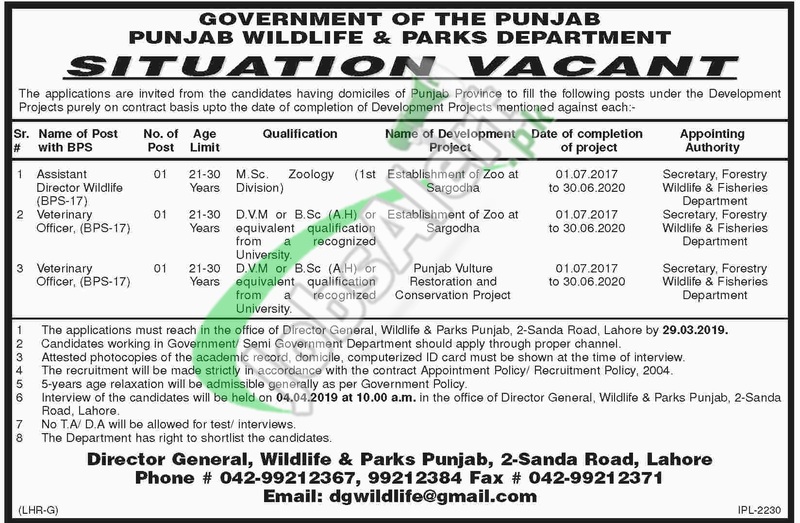 Jobs in Punjab Wildlife and Parks Department are such as (Assistant Director Wildlife, Veterniary Officer) on contract basis which is further extendable on demand of project. Canidates possessing MSc / BSc / DVM for the relevant post with relevant experience are welcome to apply along with all relevant documents on or before the last date 29th March 2019.